Are coolers really all that hot? More than 46,000 people think so. 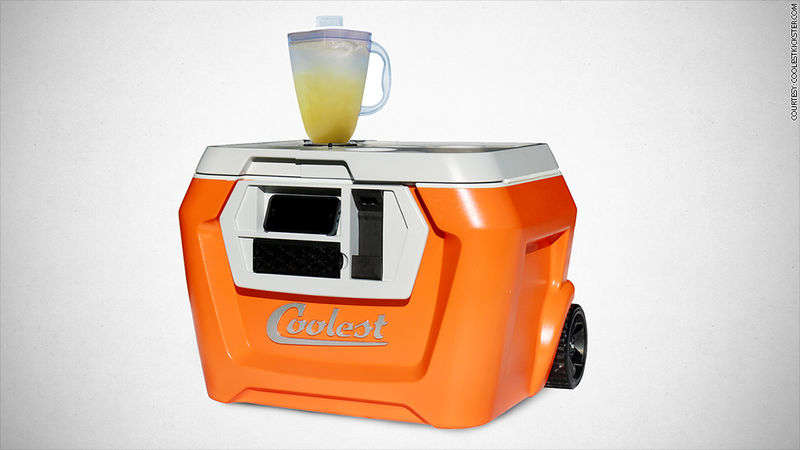 The Coolest Cooler has raised over $9.2 million on Kickstarter -- and it still has a week to go. It's described as a "portable party" and includes features like a blender, waterproof bluetooth speaker, USB charger, cutting board and bottle opener. It's the second highest grossing campaign ever, ranking just behind the Pebble (the smartwatch that raised a record $10 million in 2012). "There's a point where products derive much more attention than any rational expectation would suggest," said Jason Greenberg, PhD and assistant professor at New York University's business school, "In a market where potato salad can raise $55,000, it's not that surprising." What's more surprising is that this isn't Coolest's first time around the Kickstarter block. Ryan Grepper of Portland, Ore., unsuccessfully tried to raise $125,000 for similar model of The Coolest In November 2013. He only raised about $100,000. On Kickstarter, Grepper detailed the biggest changes this time around: Seasonality (July vs. November), more supporters and an improved design. It's certainly worked -- but are the millions any indication of how it'll fare post-crowdfunding? Igloo Products Corp "dominates" the market, according to Matt Turlip, senior analyst at PrivCo. The company, which was acquired by VC firm J.H. Whitney & Co. earlier this year, owns 53% of the full-size cooler market. "Maybe in a year or two, with $9 million in funding, The Coolest can hope to compete," said Turlip.